While going through the letter of the Ministry of Finance, as given below, it has become more clear that the Ministry of Finance is not willing to consider the genuine case of Lakhs of LDC & UDC of the Government of India Offices. It appears, the Ministry of Finance proposes Ministry/Department wise restructuring(with the provision of reduction of number of posts while applying matching/saving) of the posts. the proposal is not practical since the LDC & UDC are common cadres and spread over the entire Government of India Offices of various Ministries unless the MoF/DoPT clarifies the position further. In this context, the matter was discussed in the National Executive Meeting of the Confederation and the decision taken in it is given below. Thus all of us should prepare for the action as proposed by the Confederation. I feel it would be better if we exibit our unity/strength in the proposed Nation wide Mass Dharna called by the Confederation on 9th January 2014 at Delhi. I have discussed the matter with some like minded Associations who will also attending the Dharna Programme. All our friends are requested to give their valuable comments/opinion so that we may take the appropriate action on the matter. Subject: Forwarding of letter dated 25.10.2013 received from Shri M. Krishnan, Secretary General, Confederation of Central Govt. Employees & Workers. The undersigned is directed to forward herewith a letter dated 25.10.2013 from Shri M. Krishnan, Secretary General, Confederation of Central Govt. Employee & Workers regarding upgradation of Grade of LDC & UDC in the Administrative Branch of Government of India and to state that this department does not consider the representations received from individuals or associations and they are forwarded to the concerned administrative ministries/ departments. The administrative Ministry/ Department concerned is required to examine the representations and if merit is found, the same is forwarded to this Department for consideration in the form of a proposal, through IFD. Copy to: Shri M. Krishnan, Secretary General, Confederation of Central Govt. 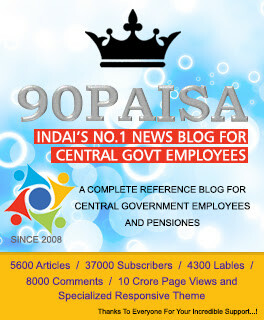 Employees & Workers, 1st Floor, North Avenue PO Building, New Delhi-110001.